Indie Retro News: Lands of TSR Lore - A tiny Ludum Dare Dungeon Crawler inspired by the greats! 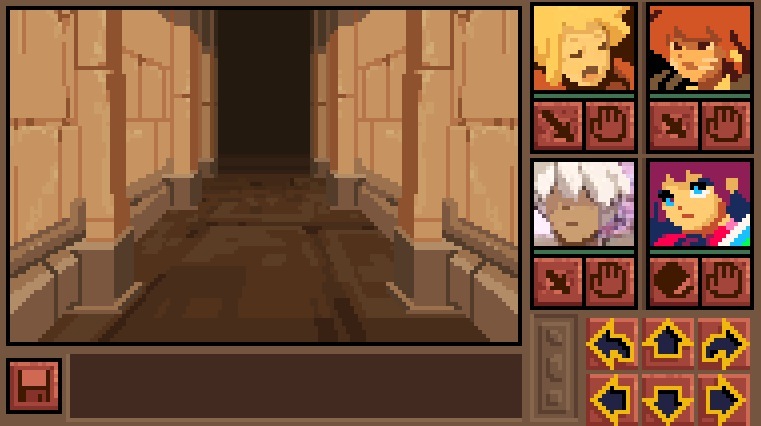 Lands of TSR Lore - A tiny Ludum Dare Dungeon Crawler inspired by the greats! A member by the name of Marco, in our Dungeon Crawlers RetroGaming Facebook page, has just shared possibly the coolest little dungeon crawler we've seen this year by far. It may not be a full game, nor is it a big game, but the inspirations stand out like a mile from the Ludum Dare entry developer , Christina Antoinette Neofotistou. This is ' Lands of TSR Lore ', a 2D dungeon crawler with inspirations from games such as Wizardry, Eye of the Beholder, Lands of Lore and Etrian Odyssey, created for the Ludum Dare 34 theme ' Tied: Two Button Controls, Growing '. It's pretty eye opening that this tiny dc was made in just over 2 days, and listening to that music while grid based moving and fighting really brings back great memories of playing the most impressive Lands of Lore. 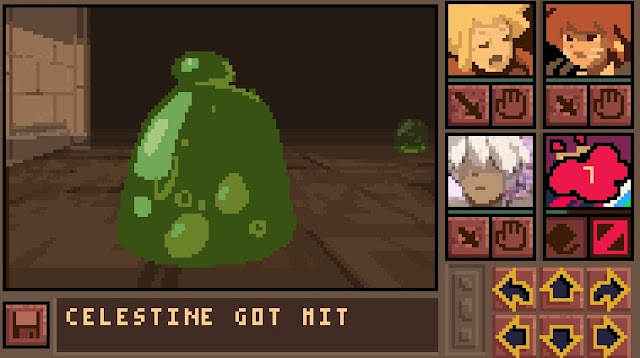 But unlike that incredible game, this one is very short and does lack features such as an inventory which is an asset in any RPG. But still putting that aside, as we said this was only done in two days, so think of it as an early demo and hope that the developer actually makes a full game, because I'd most certainly buy it!